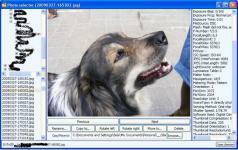 PhotoSelector is a handy application that lets you easily select and sort photos stored in your computer. The program is extremely easy to use, thanks to its simple options and the clean UI, although it does include a help manual you can use if you’re having trouble using it. The application offers several settings you can use to tweak its behavior, in order to customize and speed up image management. Also, it lets you edit various elements like the EXIF data and rotate images among other things. In PhotoSelector’s UI you can see the folders on your hard drive in a tree-view as well as their contents, and images can be previewed by clicking on them. Once you select an item you can perform several actions such as move, copy, crop, rotate and rename. Furthermore, the tool lets you view EXIF information for your images and copy it to the clipboard. On top of that, PhotoSelector can locate the area where the photo was taken by analyzing its EXIF information. Optimize you images with this tool.